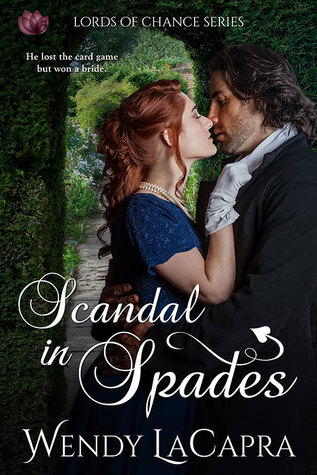 Scandal has hardened Lady Katherine and narrowed her world to duty and family. There’s nothing to be trusted in the Society she left behind…especially not the imperious marquess with his single-minded pursuit. Or his knee-weakening kisses. This was an interesting read that I could not put down! One of the things I enjoy more about any good novel is when the characters are interesting (bonus points if they are also flawed, as that means they are human) - and this story had that in spades (pardon the pun). Seriously though, the author brings to life delightful characters with personality (I can't wait to read Lady Julia's story although I think I may pity the man who ends up with her), and places them into a world that simply draws you in until the satisfying ending. Giles' honor shows through time and again in this story, not only when he tries to do the right thing by returning his lands to Markham, but also in his treatment of Katherine. He manages to make her smile yes, but he also gives her the hope that she had let go of so long ago. I enjoyed watching them find their way into love, even if I do wish he had been as honest with her as she had been with him. I believe this story will appeal to those who enjoy a well written historical novel with interesting characters and well developed stories. I can't wait to read more from this author!